Check out Tobi's Stassie Crescent Hoop Earrings The hoop trend still has a ways to run and we're totally up for that. 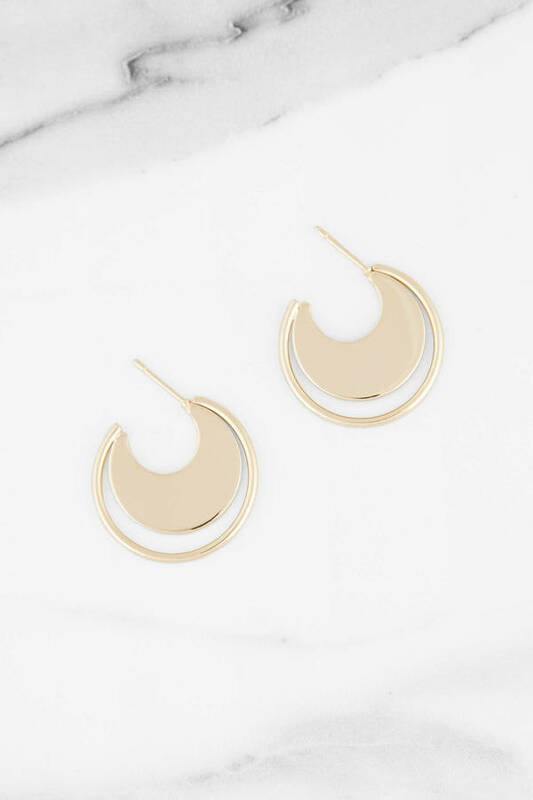 The Gold Stassie Crescent Hoop Earrings are a new way to wear the trend with a flat crescent inside an outer hoop. We love these oversized gold hoop earrings with a turtleneck sweater or a new season blazer for a chic look. The hoop trend still has a ways to run and we're totally up for that. 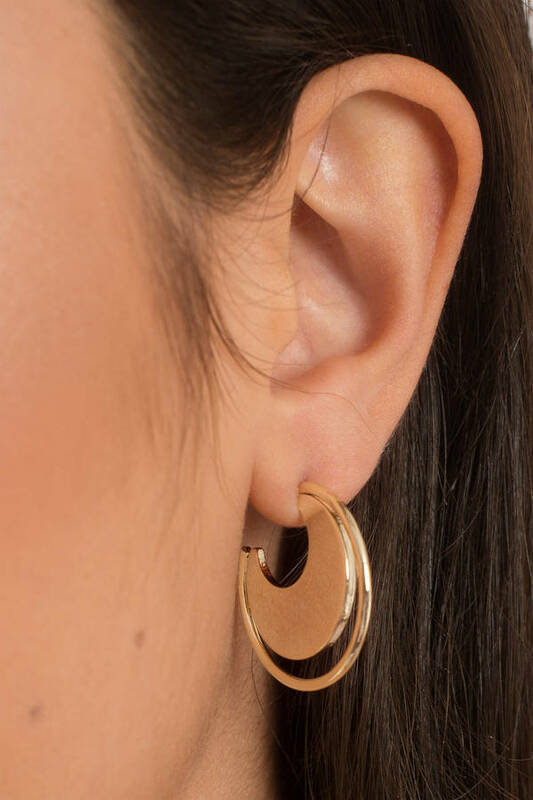 The Gold Stassie Crescent Hoop Earrings are a new way to wear the trend with a flat crescent inside an outer hoop. We love these oversized gold hoop earrings with a turtleneck sweater or a new season blazer for a chic look.